This island can be reached by ferry from Surat Thani city or directly by airplane. Usually it is cheaper to buy a airplane ticket (from Don Mueang Airport) to Surat Thani and then take a ferry from there. The buses taking you from the collection point to the ferry harbour are notorious for stealing from the passengers luggage in the luggage compartments. So be advised not to leave any valuables in your main backpack or suitcase. The nearby island of Koh Phangan (North of Koh Samui) is easy to reach from this island by speedboat ferry. Route options from Bangkok to Koh Samui. Source: www.readme.me Travel blog. This island is one of the tourist hotspots in Thailand. You’ll find many people and businesses from Russia and Israel. The nearby islands of the Ang Thong National Marine Park can be visited with boat trips from Koh Samui. 20 Things You Didn’t Know You Could Do in KohSamui by www.sethlui.com. How to get from Bangkok to Koh Samui by www.thailandredcat.com. 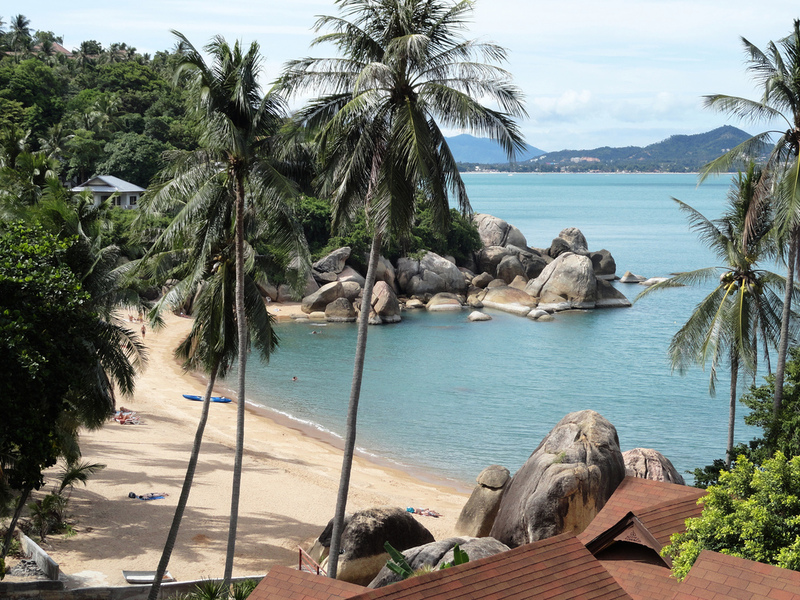 Koh Samui in a nutshell, a first time visitor’s guide by www.justonewayticket.com.